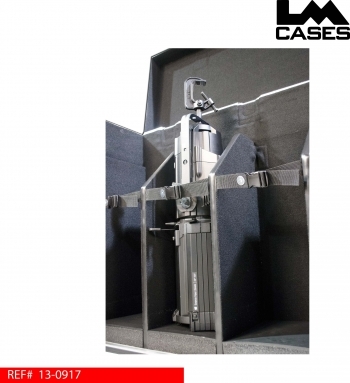 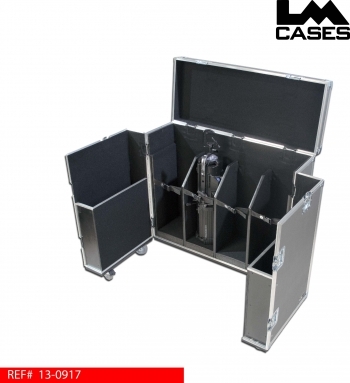 This case was designed for Panavid to hold 4 ETC Source Four fixtures with clamps attached. The case features a hinged top and dual opening front lids allowing the fixtures to only be lifted a few inches to be loaded and unloaded from the case. Each fixture is held in a separate carpet lined compartment with a 2" PE foam bottom. A piece of 1/4" Marine Grade plastic is laminated to the PE foam of each compartment which prevents the fixtures from damaging the foam. 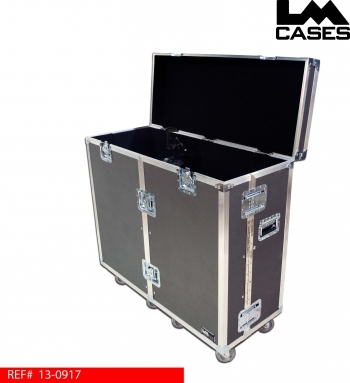 The lids feature deep compartments for the storage of Powercon and DMX cables. The exterior case is built from 3/8" plywood laminated with charcoal ABS plastic. 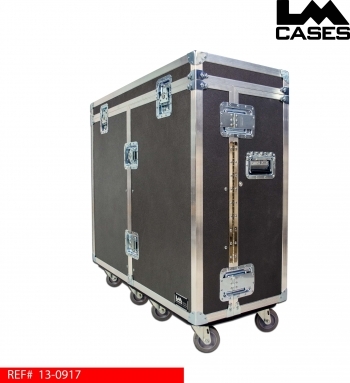 The exterior features 4" Colson casters, deep recessed handles and a custom silkscreen of the Panavid logo.